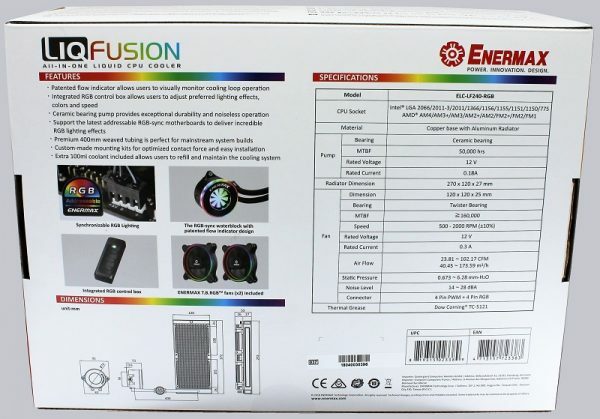 The Enermax LiqFusion 240 has at review date a price of about 100 Euro. 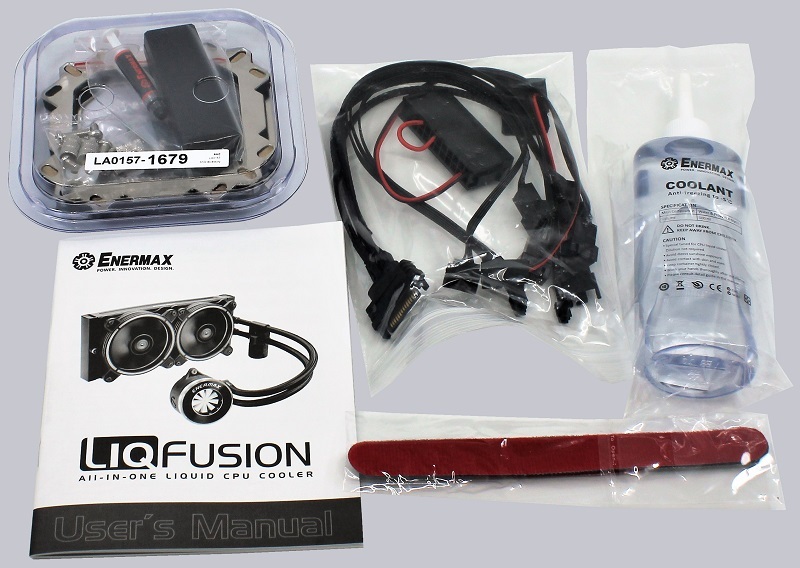 Here you can buy the Enermax LiqFusion 240 AIO water cooling. 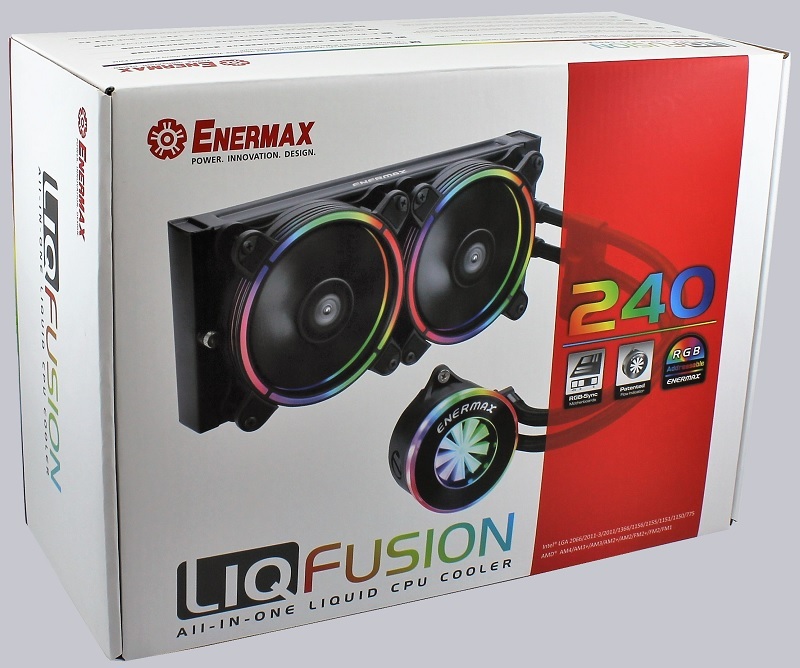 The Enermax LiqFusion 240 water cooling system comes in a smart, relatively large box. 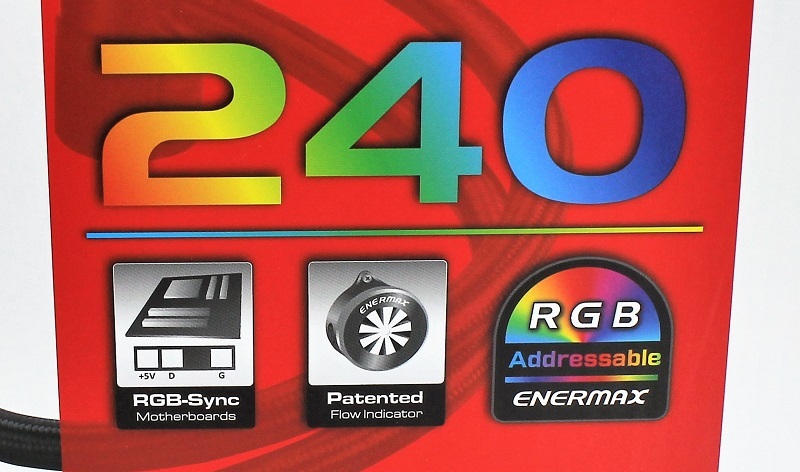 The back shows us next to the technical data that the LiqFusion 240, although an RGB controller enclosed, but it can also be connected and controlled via a matching port on the motherboard. 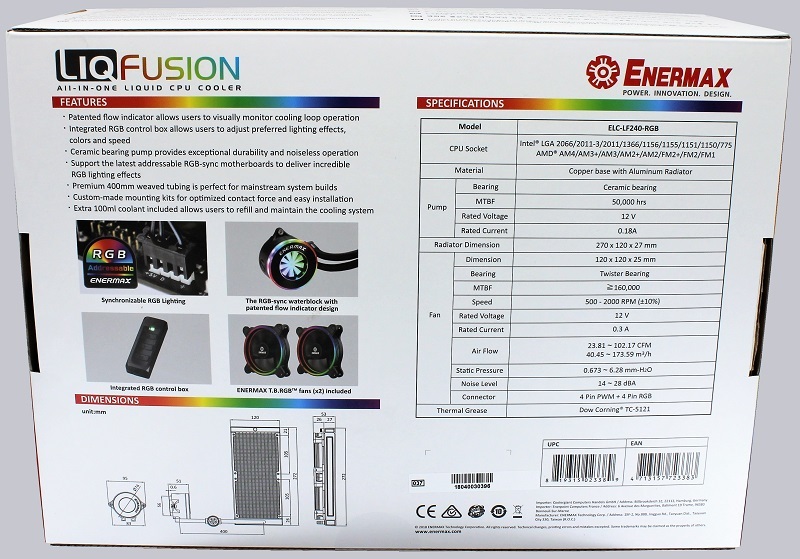 The LiqFusion 240 water cooling and accessories are packed safely and clearly in the box. 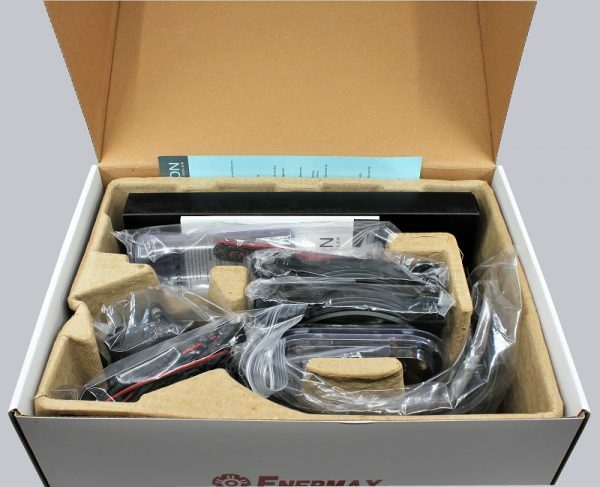 The AIO water cooling itself is again extra packed. Nothing can be damaged here. The accessories are really extensive. In addition to the manual, various necessary connection and Y cables, mounting hardware and the RGB controller, we also find a small bottle of coolant. 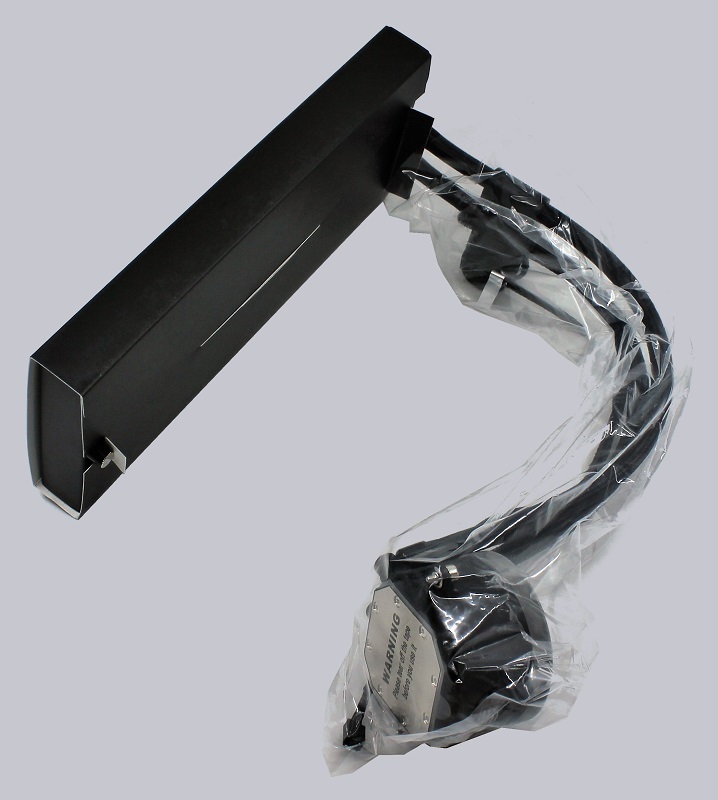 This is to refill, because over a long time even from the closed AIO cycle by diffusion cooling liquid can be lost.